Riverside Raceway is not a toy shop! Our staff are dedicated Model car racers and understand all aspects of the sport. Our retail facility stocks a full range of slot cars and spares from Scalextric, Ninco, Fly, Hornby, SCX, Life~Like and a comprehensive line of 1/24th scale products. We always stock the very latest models from all the manufacturers including limited edition models. 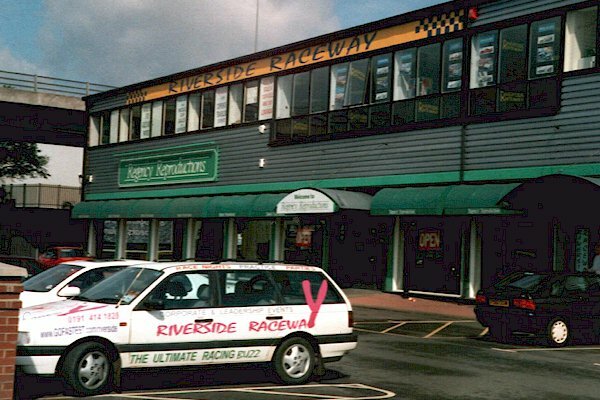 When you buy a car at Riverside you can test it on the track and our staff will be pleased to show you how to tune and repair you cars. 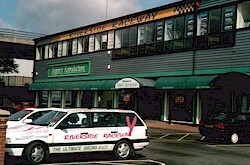 We run a full rebuild service for all slot and Scalextric type cars. 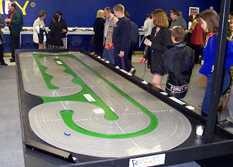 forms of large scale slot car racing. are held for standard and modified Scalex cars. Or just for the Boys! We have a wide range of active racers from 8 to adult, male & female. Slot car racing is all about competition and all you need is hand/eye co-ordination! Pay us a visit today and find out just how much competitive fun slot car racing can be for yourself, relax with a coffee and watch the racing on race days and evenings. If you decide to take this superb sport seriously and start to build your own cars we are here to help. 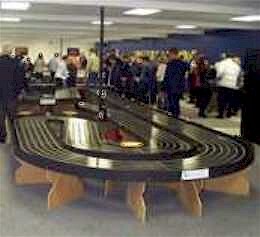 We will build and modify slot cars for you and we are always happy to show you how to do it! Learn about how to drive, maintain and work on Scalextric type cars. Great value for �00 or �00 if you bring your own cars. 11 am - 1 pm. If two or more family members (with the same name) register to race we offer them the discount price of �00 rather than �00. However this does not apply to Monday racing. 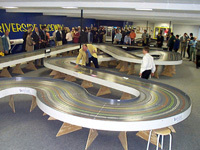 Check Upcoming Events for late Tuesdays Scalextric race nights. Special events may be booked outside our normal hours to client's requirements. Information on new products! Member Only special offers! Swap and ask for tune up tweaks and tips - we tell it like it is! Put the world of Slot Racing to rights!